live, on mobile, despite transformations. 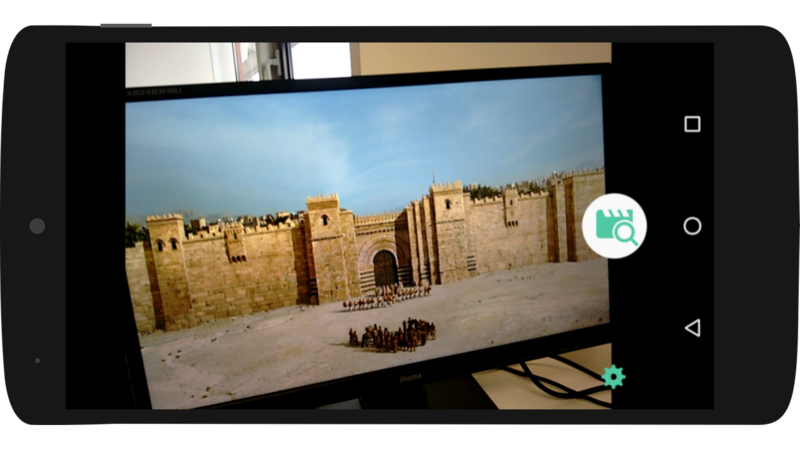 Vizr can index and recognize content in real time, displayed on any monitor, and only requires a few seconds to do the recognition. Vizr is resistant to reencoding, resolution changes, and can be made resistant to cropping, zooming or rotating. It includes both audio and video fingerprinting. 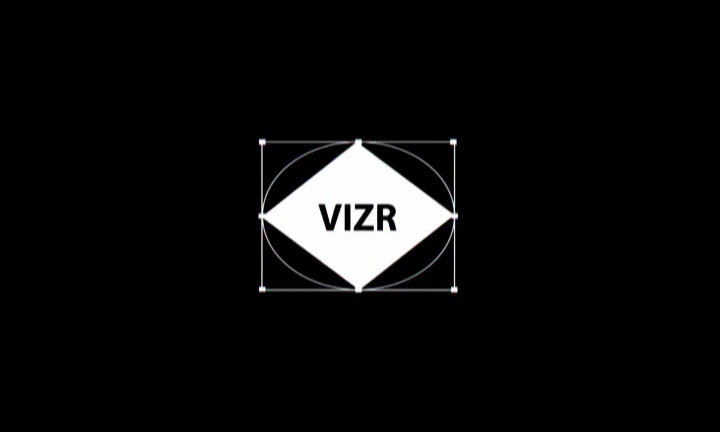 Vizr also works when filming a screen, without having access to the full frame, like from a mobile phone (see video). This also shows the robustness of the algorithm against deformations. The Vizr solution works with a client application sending the data to a cloud-based database. The mobile applications, currently Android and iOS, process the camera input, create the markers and send them to the server for lookup in the database. The lookup is parallelizable and could be done on several servers. The content must have been indexed in the database before being recognizable by the client. The size can vary between 200kB to 50MB per hour, depending on the options selected. 1 for audio, like Shazaam, and 2 for video. The video algorithms can be tuned to be more or less resistant to different transformations, at the expense of the size of the database. For example, in the video shown above, you can see that the phone is rotated compared to the TV screen. Vizr can also detect zooming and rotations that Youtube ContentID cannot.